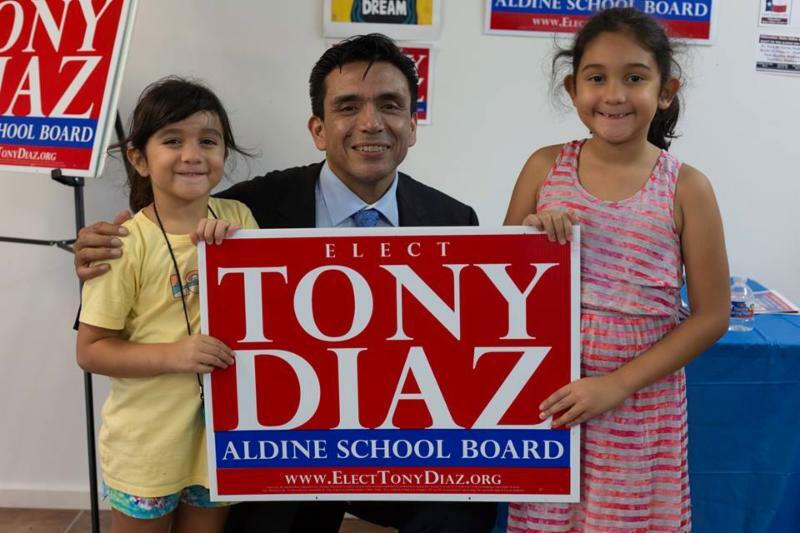 In my election thoughts from yesterday, I failed to mention a very important race in Aldine ISD, where my friend, Tony Diaz, was challenging an incumbent for a seat. Diaz’s campaign put forth a valiant Election Day effort, earning almost 60% of the vote after a slower show in mail ballots and early voting. The five vote margin shows that every vote really does matter; unfortunately, it was Diaz who was short. Provisional Votes MUST be Counted. Every Vote Counts. If you voted a provisional Ballot on Nov 3 in the Aldine School Board race. You have time to make your vote count. Monday Nov 9, 2015 at 5:00 pm is the deadline to make you Provisional Vote count. So, if you voted provisionally because you forgot your ID, or for whatever reason, and you live in Aldine ISD, make sure your vote is counted! My good friend and colleague in various causes, Tony Diaz, is running for Aldine ISD’s School Board, Position 1, in the November election. If you live in the Aldine ISD, then this is your candidate. Tony Diaz is a writer and professor with over 20 years of experience in the class room. He is Director of Intercultural Initiatives at Lone Star College-North Harris. In 1998, he founded the nonprofit Nuestra Palabra: Latino Writers Having Their Say which went on to organize the largest book fairs in Houston. He has received the Mexican American Bar Foundation Media Award. In 2012 he received the first Houston Mayor’s Hispanic Heritage Award for Arts in the Community, and was also named one of Houston’s 41 most fascinating people by the Houston Chronicle. Tony needs the people’s support in time, treasure, and in your vote. There will be a fundraiser for his campaign that we can all go and support. Last Fundraiser for the Tony Diaz Campaign. Some of you may have seen a scathing editorial in Sunday’s Chron in which various complaints were listed against the Harris County Department of Education. HCDE has been under attack by Republicans for a long time and there is a current movement by Paul Bettencourt of the Texas Senate to get rid of it. According to former HCDE Trustee Debra Kerner, the editorial contains a lot of misinformation that she wanted to clear up. Here is her own letter-to-the-editor which, hopefully, the Chronicle will also run. Regarding “HCDE draws sharp look” (Sunday, May 24, 2015, pg.1), I served as a countywide elected Trustee for the Harris County Department of Education (HCDE) from January 2009 to January 2015. During that time, I held various Board positions including Vice President. I read the article, “HCDE Draws Sharp Look” from Sunday, May 24, 2015 with intense interest and felt that as a private citizen and former board member, I had to respond. I would ask that the public consider these clarifying facts. 1) HCDE serves students, educators and school districts. Their services are provided at the request of Harris County school districts. They seek to enhance and innovate and provide services to the school districts and the residents of Harris County. All 25 of the school districts in Harris County choose to use at least some of the services from HCDE. HCDE provides even more services than are listed in the article, including Safe and Secure Schools. As told to me by the head of Region 4, all of these services cannot be duplicated by the Education Service Center (Region 4). Who would provide these services, if HCDE had to close? 2) During my tenure, HCDE underwent several audits and a Texas legislative study. These studies determined that HCDE’s education services saved taxpayer dollars and that it would cost school districts significantly more to replicate. While areas for improvement were identified, none of the studies recommended closure. The Board had always taken steps to improve the department and continues to do so. 3) One example that was noted in the article was the policy on hiring political consultants. The Board did not have the chance to vote on the Eversole contract. Once the board learned about these hirings, the policy was changed to bring more transparency to the process of hiring political consultants. While I understand, the concern about using tax dollars for this purpose, I believe it would be unfair to the students and educators served by HCDE to not give them a voice regarding the educational resources that are so valuable to them. Many school districts also hire lobbyists and political consultants to help educate legislators and others about their needs. In addition, HCDE has a group consistently seeking its abolishment. Three year olds and other students with severe disabilities cannot go to Austin to indicate the true value of HCDE, so HCDE does it for them. HCDE is a voice for those who can’t speak for themselves. 4) Ms. Vera and the Houston Chronicle have initiated countless open records request. HCDE has been compliant and constantly sought to increase transparency. Responding to these requests has been costly; however, none of these requests have yielded information that rises to the level of criminal activity. Any issues that were found, the Board had already initiated steps to improve the situation. At the same time, HCDE has continued to educate students, train teachers and provide valuable wraparound services. 5) We should focus on what HCDE is doing now. HCDE has hired a new superintendent, James Colbert, who is moving forward. The Board has made changes to address policies and procedures to ensure that things are done correctly and transparently. HCDE continues to respond to the needs of partner districts. I participated in the hiring of Mr. James Colbert and from what I’ve seen thus far, he is a true leader who is very responsive to the educational needs in Harris County. The reason HCDE has fought against additional studies regarding abolishment is that it is hard to plan for the future when the threat of closure hangs over their heads. I was honored to serve with Trustees who truly cared about enhancing education in our county in a fiscally responsible way. It is a shame that the voices of a few are taken as fact when thousands of students and the 25 Harris County school districts find value in HCDE every single day. My good friend Jose Manuel Diaz has been busy raising funds to helps some young men go to prom in some nice duds. These same duds will also help them to dress for success, providing them some nice clothes for interviews, college events, etc. I’ll let him explain. Help make a deserving 2015 graduate’s prom dream come true! Not only that, but let’s help prepare them for the future! When prom time comes around, many think of helping the young ladies and get them ready for their prom, but for a moment, I’d like to shine a light on the other side, and help out the young men at the MiddleCollege High School at HCC Gulfton. These wonderful young men, despite all their struggles are about to graduate. What better way to send them out in the world by showing them that we have faith in them, believe in them and want them to succeed? We are raising funds, not to rent them a tuxedo, but to buy each one of them a quality suit that will not only benefit them in looking great for prom, but will help them dress for success in the future. 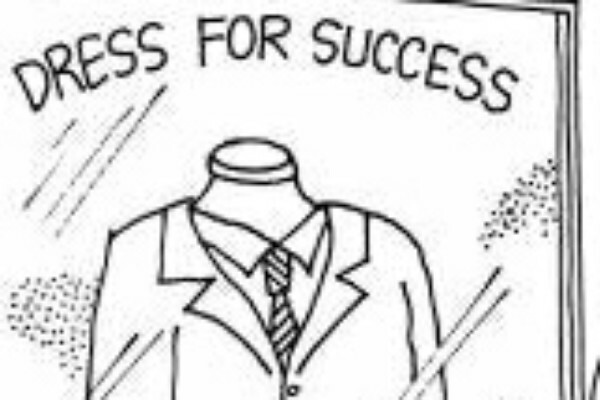 Every young man needs a proper suit for interviews, etc. , and for $50 per student we can make that happen. I’m not asking for you to give that full amount, anything helps, even just a dollar will make a difference. Let’s set these 20 young men up for success. Let’s let them know that we care about them, and know they are our future. Middle College at Gulfton helps kids who don’t really feel comfortable in a traditional high school setting. This alternative ensures kids not only succeed in school, but can also earn credits to HCC. The school’s principal, Diana del Pilar, is a good friend, too. Alief Bond: I Just Moved And Already I Have an Election Coming Up! Posted on April 14, 2015 | Comments Off on Alief Bond: I Just Moved And Already I Have an Election Coming Up! I’m an avid voter, so, as soon as I moved into my new place, I registered and found who was representing me. To my surprise, I found out I have a few more Democratic representatives, but I also found out I now reside in the Alief ISD (barely, as mine is on the northeastern corner of the ISD). I even have an election coming up in which I will be voting FOR the Alief bond. There is all kinds of growth out my way and the Alief schools have been no different. Student achievement at AISD is high; they boast a 95% graduation rate; and the vast majority of students are graduating on a recommended plan. Alief hasn’t had a bond since 2003 which means they are way overdue for improvements and new facilities. Now is the best time to get this done. The Alief bond is mostly about new facilities with 67% of the $341 million bond going to new construction, including classroom space for full-day Pre-K, a Career Center, Professional Learning and Performance space, and expansion of some current facilities. 30% of the bond is going to security enhancements across the district, as well as facility improvements, like new roofs and improved A/C units, new entrances to schools, a softball field at Elsik HS, handicap accessibility, a library expansion, etc. Finally, the rest of the bond is for school bus replacements, which means safer, better running buses. All-in-all, this is a sound investment which will still keep Alief ISDs taxes among the lowest in the area. And, it’s for the kids. Early voting is April 27 thru May 5, while Election Day is May 5. Find your voting location here. Comments Off on Alief Bond: I Just Moved And Already I Have an Election Coming Up! “Is My Child Ready?” was launched this week by the Mayor’s Office of Education Initiatives. The program’s work is to engage parents so that they may get more involved in their children’s education. The campaign coincides with the release of students’ STAAR test results by area school districts scheduled for this spring. The STAAR exams are part of the state’s new standardized academic accountability system. The campaign will target “hard to reach” parents to encourage them to ask their schools key questions about their children’s performance on the STAAR test. The commitment I liked most was this. The campaign will promote parents’ long-term involvement in their children’s education with an emphasis on post-secondary readiness. Currently, more than half of Texas freshmen in two-year colleges and nearly a fourth in four-year schools require remedial courses. Deficient academic preparation also leads to low rates of college completion. While Texas legislators are seeking ways of blaming college advising and student services offices as a means of cutting their budgets, it is good to see Mayor Parker promoting a solution, rather than some punitive measure, like I expect the Lege to do. It seems she knows one of the roots of the problem, so, hopefully, the Lege will follow suit and commit to these types of programs, too. The multi-media campaign will deliver messages in various formats, including billboards, signage on METRO buses, electronic communications via SMS texts, emails and campaign websites and posters at libraries, multi-service centers and schools throughout the Houston region. Public information sessions for parents will also be held. The campaign invites parents to text “READY” to 91011 or visit www.ismychildready.org for key facts and specific questions to ask schools about their children’s STAAR test scores. Spanish-speaking parents can text “LISTO” to 91011 or visit the campaign’s Spanish language website www.estalistomihijo.org. For full information about the campaign, visit www.ismychildready.org. Way to go, Mayor! Every bit counts in this effort! Perhaps partnering with local higher education institutions is a good next step? Hispanics Organized for Political Education (HOPE), the former “political arm” of Texas LULAC has re-organized and announced its legislative agenda for the 2013 Texas legislative session. It is quite comprehensive and divided into four parts. Catching my eye because of its importance is their plank on education. HOPE calls on the Texas 83rd Legislature to reinstatement school-funding using district property wealth for allocation to the 2009, level of funding that also took into account the annual increased enrollment of students. Reform and improve education by supporting reforms for effective secondary educational programs that serve English Language Learners including stronger accountability standards, curricular reforms at the secondary level, and addressing qualified teacher shortages through recruitment and retention programs. These reforms will result in closing the achievement gaps and reducing the drop-outs. 6. Monitor the extent to which students are being taken off of the recommended high school program and placed in the Minimum track that leaves them ineligible for state financial aid (i.e., TEXAS Grant) and automatic admissions under the Top Ten Percent Policy. Invest in the economic future of Texas by supporting a return to formula-based funding that maintains a school finance system that allows schools to access equal revenue at a similar tax effort and properly funds special needs students. Oppose all efforts to deny access to education and ensure access to parents and children living in Texas to educational services regardless of immigration status. Put a stop to the over-reliance on a single test-based indicator when assessing students. Continuing to focus on student test performance does not lead to a deeper or critical understanding of the curriculum. Rather, it obstructs students’ access to quality learning time and diverts precious dollars and resources (such as teacher and staff time) to testing companies. The misuses of testing are both unethical and unsupported by research, and also disproportionately impact poor, minority, and English learning students, as well as those student receiving special education services. Support the use of multiple measures such as classroom work, homework, extracurricular involvement, teacher evaluation, parent evaluation, and test scores as a means for holistically assessing a student’s overall academic performance. Oppose policies that solely rely of a single test score to determine grade promotion or retention decisions, deny students a high school diploma, deny access to college or financial aid, or contaminate students’ course GPAs. 5. Require that all students have fully certified, quality teachers who have theacademic and social competencies to ensure that all students reach their optimal potential. 3. Oppose any measure that further restricts Texas’ high school graduates access to instate tuition. Oppose any legislation that would reduce, eliminate or make exceptions to the top 10% rule. Oppose any legislation that would challenge students’ access to higher education by modifying or eliminating House Bill 1403. Support enhanced anti-bullying legislation that will mandate that the education administration code include a directive to identify a point of contact for bullying. Support legislation mandating that the parents of special education students who are also limited English proficiency (LEP), be provided all documentation in their native language during the ARD and the development of the student’s IEP. Reform the State Board of Education (SBOE) to ensure that the adopted and future TEKS curriculum standards are accurate, comprehensive, in compliance with legislative intent and responsive to community input. Support efforts to include top university experts in the decision making process. Click on the link to read the entire document; however, be warned–it is pretty progressive and will earn some right-wing opposition. With the Dewhurst-Patrick-Republican ideas of expanding charter schools and school privatization, the battle lines have definitely been drawn between Latinos and Republicans. Thanks to my good friend, Joe Cardenas, III, for sending this to me and for chairing such an important group of leaders. I’ve always been a proponent of higher education, especially at the community college level. As Rick Perry and the Texas Legislature continue to short-change K-12, while pushing high-stakes testing on prospective college students, colleges and universities have been left to address college preparedness, rather than place students on their way to graduation and career from the get-go. To this day, one-third of university students and one-half of community college students are deemed under-prepared for higher education studies, thus lowering college retention and graduation rates. That said, Houston Community College is on the front-lines of addressing these issues, and the bond they offer addresses the issues, as well. The $425 million bond program will provide each HCC college with new or renovated facilities and the technology to meet student needs, especially in high-demand areas such as health sciences, as well as science, technology, engineering and math (STEM) education. Early college facilities are among the facilities included in the bond. And these will definitely address college preparedness in various parts of the HCC service area. A new facility in West Houston will address needs in that area. All-in-all, it is an overdue investment that will go a long way to preparing for the future. I highly recommend a YES vote on the HCC Bond. As a liberal Democrat, I always tend to vote for anything that would attempt to make schools better. It wasn’t until I moved to the ‘burbs that I saw blatant disregard for certain schools in the poorer parts of a school district, while uplifting and appeasing the wealthier neighborhoods with new schools and facilities. It was then that I questioned everything about bond packages, taking a closer look at who truly benefited. And I took the same approach on this bond proposal because, although HISD is a minority-majority district, and the vast majority of kids qualify for the lunch program, someone other than the kids could benefit too much. Seven months after moving back into the City, I can see Houston ISD is in dire need of new high schools. With aged, broken-down, and unsafe facilities that are 50+ years of age, it is high-time that the people invested in the future of Houston. And let me tell you, it is high schools where we end up losing a lot of our kids. Providing state-of-the-art facilities for our students should be priority one. Therefore, supporting the HISD bond really is a no-brainer, right? But the decision to support didn’t come all that easily as one of my major concerns was HISD’s recent bad publicity regarding their contracting process and their lack of a strong ethics and campaign finance policy. This summer, they made a move toward stronger rules, which gave me a little peace of mind–enough to fully support the HISD Bond. I highly recommend a YES vote for the HISD Bond. For specifics on the bond, click here. Immigration – Obama reiterated his support for comprehensive immigration reform and the DREAM Act. He pointed to Romney’s stances on DREAM (and Romney’s veto threat) . Education- Obama stated he helped stave off teacher layoffs. With RomneyRyan budgets, you will see 20% less resources to states for education, thus, more teacher layoffs, and more strikes like we saw in Chicago. Obama will provide more help as long as there is accountability, high standards, and he will help hire 100,000 math and science teachers. Pell Grant and Student Loans. Obama vowed to continue working on helping colleges and universities lower tuition, continue supporting Pell Grants. Above all, Obama pointed to his work on taking out the middle-man when it comes to student loans, thus making loans cheaper and more accessible for students. Drug Cartels. Obama admits to demand for drugs on this side of the border and that the Cartel problem is a problem at both sides. It’s not just a Mexico issue. Wants to increase support for drug prevention programs. Also wants to stop flow of guns and cash from US to Mexico. Regarding Fast and Furious, stated Holder actually stopped the program when he found out about it, but stated that US must recognize that guns are being moved to the South. Wants to move forward with strategy that works. Has complete confidence in Holder. Asked about biggest failure. Not getting comprehensive immigration reform, but not for a lack of trying or desire. Lays blame on GOP Congress wanting to defeat him from day 1 and not working on CIR or other important issues. Wants to concentrate on being in a conversation with the American people to move issues, like CIR, forward. Called out on breaking CIR promise, President says he has more work to do, and that he can build on progress. DACA provides that opportunity to continue working on CIR. In his closing statement, President Obama tells the camera he urged Latinos to vote, to vote for him, AND to vote for Democrats up and down the ballot.